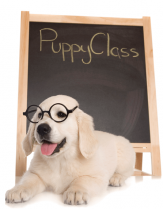 Puppy classes are for puppies between 9 & 13 weeks of age. Puppy classes during the critical socialisation period (before 16 weeks of age) are vital for healthy development of a puppy. Don’t leave it until your puppy or dog has problems; by then it can be too late. You will never again get such an important period of time in your dogs life. All puppy classes at this level run in Oakford as it is a private property. Puppy classes are a 4 week course or casual classes available for puppies closer to 14 weeks – if over 13 weeks see Clever puppy training. If unsure about booking you can book for puppy class as long as your puppy is no older than 14 weeks at the age of starting the course.